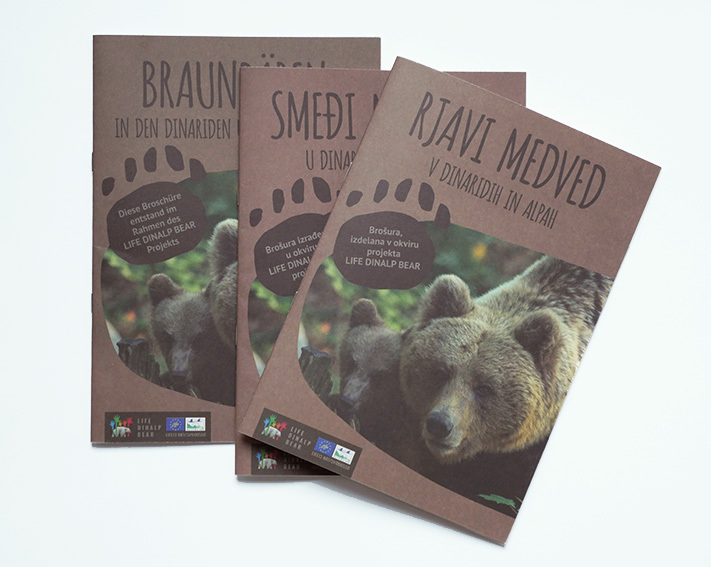 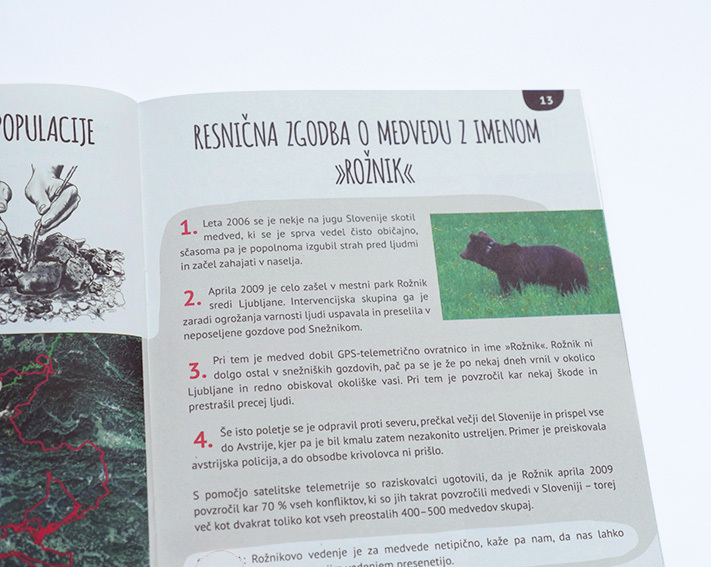 The brochure “Brown bear in Dinarides and Alps” was made for the LIFE DINALP BEAR project. 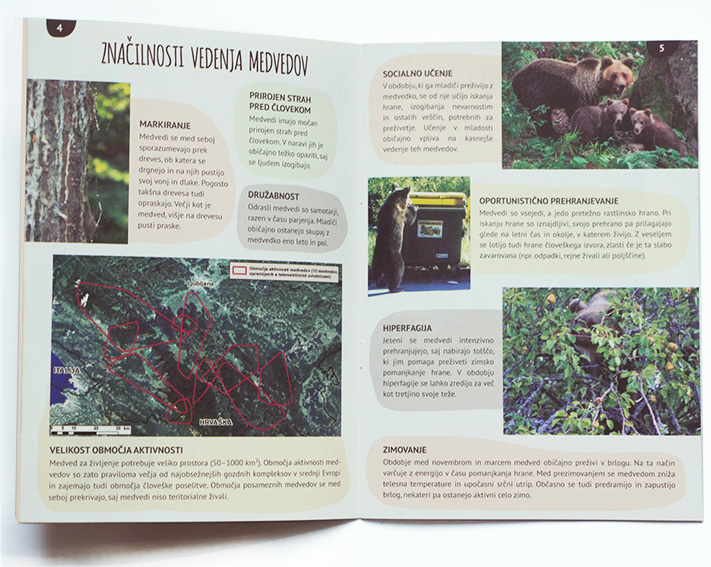 The contents include different and interesting information about brown bear behaviour, its distribution in Europe, threats and the description of interactions with people. 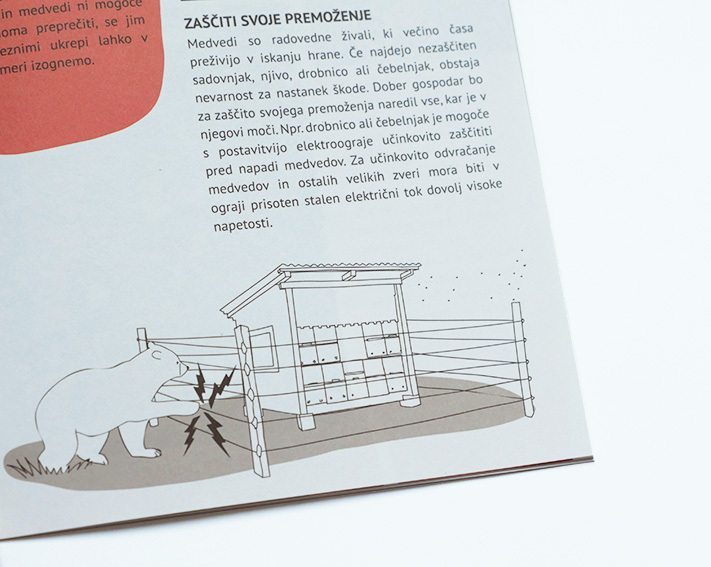 The brochure also offers interesting facts about bears through a factsheet. 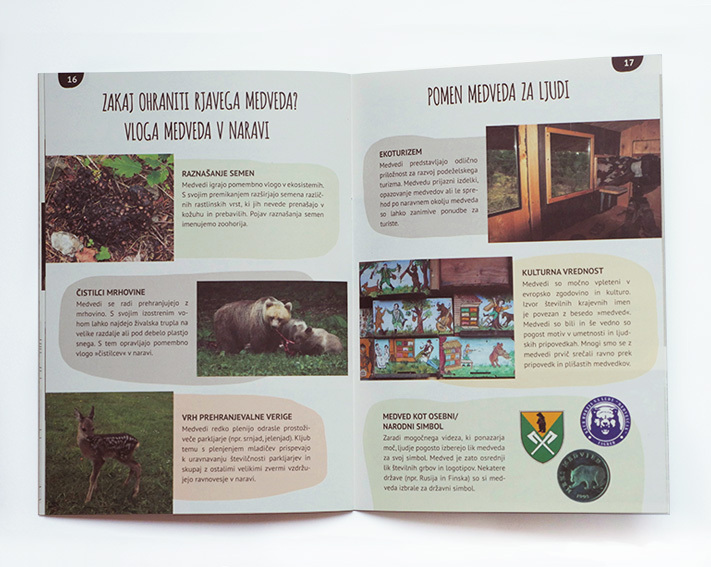 You can find the complete brochure here.